My doula practice is an alchemy of art, science and soul. I trust in the body's abundant natural wisdom and rely on evidence-based research to inform how I guide my clients. I was supporting parents-to-be through birth long before I had my own babies, tapping into my own deeply-rooted maternal instincts. Nurturing comes naturally to me, and doula work is my heart's calling. Now as a mother of four children, I know my own personal birth and parenting experiences have enriched my work as a doula. For over a dozen years I have served families of all kinds, offering non-judgmental support with a commitment to respecting and honoring the individual choices each family makes. It is my belief that when you are supported and encouraged to take ownership of your choices and your birth, you will have a more satisfying experience and be able to face childbirth and parenting with courage and confidence. 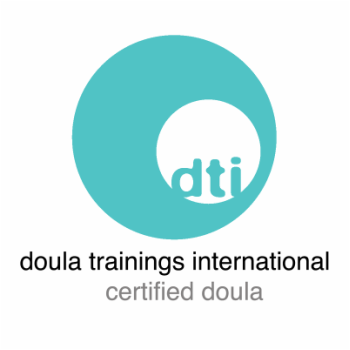 As a doula, my role is to help my clients find tenacious confidence within themselves and learn to trust their bodies and their own powerful intuition. It is my desire to create a peaceful space where my clients can discover their voice and their strength. I believe every birth, with its own unique path of twists and turns, can be an empowering experience. What I have found through supporting numerous families is that the childbearing years are a ripe time for transformation and growth. Building a family requires gentle guidance and wisdom from those who have walked this journey before us. It is one of my greatest joys to do this ancient and important work. Like many folks in Charlotte, I am a northern transplant looking to grow some southern roots. Originally from Upstate New York, I have fallen madly in love with The Queen City! Outside of my doula practice, I am also studying Holistic Midwifery and Herbalism. I teach all of the childbirth and early parenting classes at Baby + Co Charlotte. You can usually find me outside barefoot, raising some silly chickens and running our dream homestead, Electric Daisy Farm. My husband and I have dubbed our four children, ages 11, 9, 7 and 4, "The Wild Things" and they fill our days with chaos and joy.